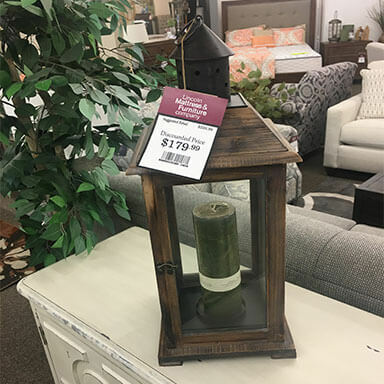 Decorative, old world style lantern made of weathered wood with bronze metal accents. Our Sweepstakes Giveaway is just one more way that we like to reward our loyal customers. We hold our Sweepstakes four times each year, in March, June, September, and December. Entering the Sweepstakes is easy, fun, and requires no purchase at our store. Prior winners have won exciting products including a TV stand, a swivel chair, unique artwork, and more. Past prizes ranged in retail price from $299 to $759! Please enter our current Sweepstakes Giveaway by filling out the form on this page. You only need to enter one time. Additional entries do not increase your chance of winning. Please also share the Sweepstakes Giveaway with your family and friends so they can enter too! Sweepstakes Giveaway winners are drawn on March 31, June 30, September 30 and December 31. Please contact us for complete details. Thank you. Your application has been sent!